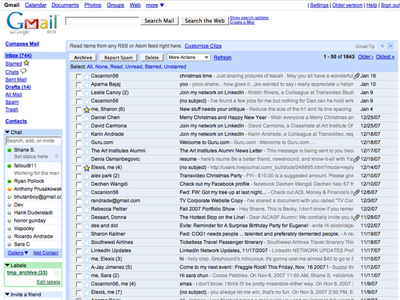 Migrating from Gmail? Finding another email service that matches Gmail’s workflow is difficult. Here are some considerations for discussion. One of the hardest things to do when you’re trying to migrate away from Google is find something that is comparable in workflow. That’s the case with Gmail, Google’s eight-year-old email service. When it was launched on April Fools’ Day 2004, many people thought it to be a joke because 1 GB of storage was unheard of at that time. But it wasn’t a joke, and Gmail’s led the way in the email storage department. Today, users get 10 GB of email storage space for free and paid users of Google Apps or Google Drive get 25 GB of storage space. What makes Gmail unique from other email providers is the archive feature. My email workflow is this: emails requiring attention from me are in my inbox and everything else is archived. From time to time, I’ll delete emails that are from email lists or alerts from various social media outlets. Other than that, I save things. While its original selling point was the storage space, today’s Gmail is more than that. Gmail users who have Android or iOS smartphones have native synchronization with their device’s mail, contacts, and calendar applications. On iOS, the operating system that powers Apple’s iPhone, iPad, and iPod touch, users get push updating of new email and changes to one’s calendar or address book. And that’s the problem. For various reasons, I seem to be using Apple products at the moment, including my MacBook Pro, my iPad, and even my iPhone. That native integration between Google and my iDevices’ mail, calendar, and address book is what’s making this whole process so difficult. What is the workflow of the proposed replacement? For email, as an example, what parallels exist between Gmail’s archive feature and that of a replacement? What integration does it have with mobile devices? Does it integrate natively with the system apps for email, contacts, and calendars on my and many other mobile devices? If so, what protocols are called? Can the email service be hosted at a domain (e.g. @edwardjensen.net) or must it be used at the provider’s native domain for email (e.g. @gmail.com, @hotmail.com, etc.)? What support does the proposed replacement have for different email addresses? Can I use the webmail interface to send email from a different email address for my work, for instance? Or does all email have to be funneled through the primary email address? What costs are involved with the proposed replacement? Is it free or is there a minimal charge to use the service? If there is a charge, what additional services are provided for that charge? What sort of authentication mechanism exists for securely logging in to the service? Is there some sort of two-step authentication involved? Google introduced two-factor authentication, in which some services, like IMAP/ActiveSync authentication no longer take the account’s primary password but a sixteen-character password that only works for a specific service. Those are the considerations I’ve developed thus far. What should be added? What considerations do you have when looking at hosted email? Please share in the comments!